Where your time and privacy are precious to us. A highly competitive game of Polo. 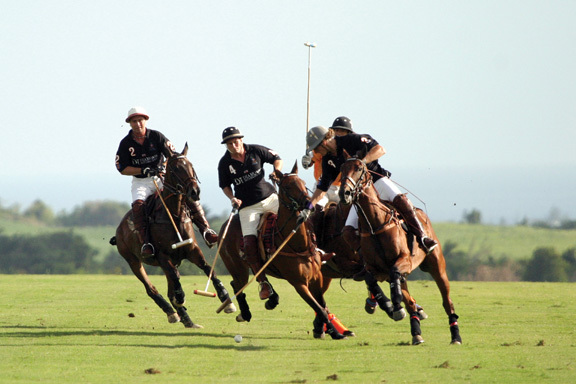 The Polo Season in Barbados is far more than a spectator sport for families and professionals. Rather, the increasingly popular sport , which was first played in 1884, is pivotal in relation to the country’s rich and diverse history. For instance, research shows that the British cavalry officers brought the sport from Great Britain. It was considered a game that suited the Barbadian lifestyle since horses were part of everyday life, and a number of wealthy plantation owners had their own stables. Back then, horses were the means of transport and communication across the land and they worked the land to help in cane harvest and sugar production. Later, Polo was organized by the Polo Club which was founded in an ad-hoc but professional manner by the cavalry and the landlords. Polo playing continued until 1929 when the Polo Club was suspended for 10 years. Subsequently, the high energy sport restarted at the Garrison Savannah in 1939.The original polo clubhas overseen the development of three playing grounds in addition to the first one. Today, the polo Seasons runs from January to May and the fields are at Holders, Lion Castle, Waterhall-Apes Hill and Clifton and matches always draw large crowds with children being especially delighted by the spectacle. Sometimes in awe at the skill of the riders as the players and their horses charge up and down the field to score points by hitting the ball into goal, it is evident why the sport continues to capture and maintain the interest of locals and visitors alike. With the Holetown Festival commencing on February 9, 2014, it is only fitting that Platinum gives you an insight to this all-inclusive historical Festival. 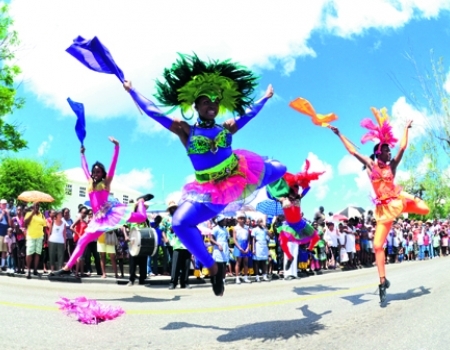 Now in its 38th year of celebrations, the Holetown Festival in Barbados continues to be a week-long compact entertainment package for locals and visitors alike. Held in mid-February, the festival celebrates the first settlement of Barbados in 1627 and comprise a lively street fair, history lectures, a parade, concerts and special sporting events. So how was the festival created? According to the Holetown Festival’s official website, in between February 17th and 20th, 1627, eighty (80) English Settlers landed at what is known as Holetown aboard a ship called the William and John. With them were ten (10) African Slaves, who had been captured on the voyage. The website further states that from this day that Barbados became a British Colony. Thus, the late Alfred Pragnell, who was a multi-talented Barbadian and the brain child of the festival, along with Keith Simmons and the members of Trents Northern Youth Group made up the committee that planned the first festival in 1977. Originally, the event took place on the weekend nearest to the dates of the settlers landing. Today, the festival has become so popular that it now takes place over an eight day period, running from Sunday to Sunday. What can locals and visitors expect? As the streets of Holetown are brought alive with a kaleidoscope of colour and infectious sounds, locals and visitors are treated to a variety of music, such as Gospel, Classical, Tuk Band and Calypso, as well as Folk Dancing, presented in free open-air concerts. There is also an Arts and Craft Exhibition, a display called “Beating the Retreat”, by the Barbados Defence Force and a Flood Lit Tattoo which is put on by the Police and a parade of Vintage Motor Vehicles. On the Saturday, there is a Street Fair, where Vendors & lsquo Stalls offer a wide cross section of Barbadian Arts and Crafts, as well as local foods and beverages. So what are you waiting for? Join our locals and visitors as they participate in this spectacle! A warm welcome to Platinum Services new blog! As we continue to provide VIP Luxury Airport Services, Luxury Transportation and Concierge Services in Barbados, our blog aims to keep you up-to-date with the latest in the world of luxury travel. 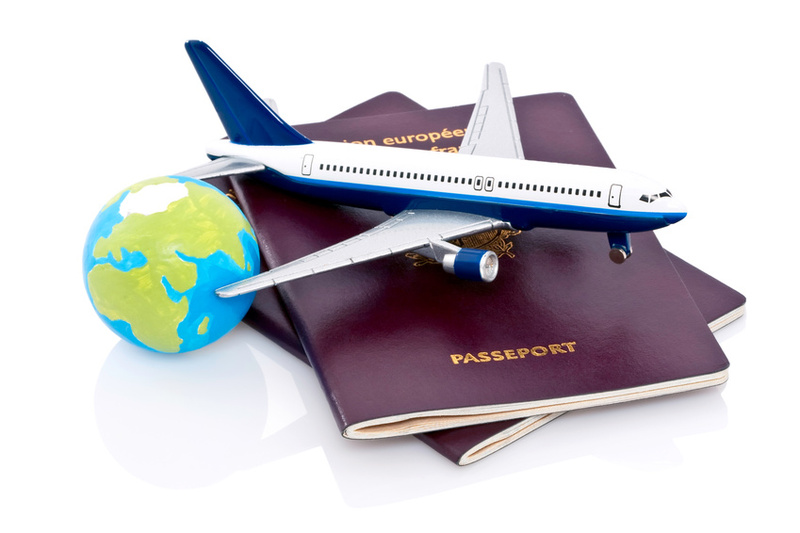 Having said that, we’ll get straight into our first post which looks at some interesting emerging travel trends for 2014. Resonance Consultancy President, Chris Fair detailed the top trends expected to shape travel in 2014 and beyond through research done by his company in lifestyle and tourism trends. So what are these trends? Trend 1 examined the impact of milennials or persons 18 – 30 years old, who Mr. Fair said, are of “obvious and growing importance”. While noting that they have distinct characteristics, their travel choices include being more interested in urban than resort destinations, more likely to travel in pursuit of favourite interests or activities and more likely to travel with friends in organized groups. If this trend holds true, it is noteworthy that hoteliers and marketers should strategize for both opportunities and challenges. Trend 2 highlighted that seniors are “unstoppable” and they are estimated to comprise 1.3 billion to 1.6 billion people worldwide. Thus, customer service is crucial as they “show higher levels of frustration that result in zero tolerance for poor service”, factors that aren’t totally surprising. While additional research posited that this group primarily travels for rest and relaxation on either short or long-stay trips, they favour quieter, less congested destinations. taking extended time off from work. We’re completely in agreement with this rise from observation. Trend 4 focused on the Growth of ‘Creative Tourism’. In greater detail, creative tourism is travel “directed towards an engaged and authentic experience. It is travel that provides a connection with those who reside in the destination. It is noteworthy that a creative tourist differs from a cultural tourist in that he or she is active and interacts with the locals. We don’t mean to sound a bit bias but this trend is one of the more interesting of the six given the importance of tourism to Barbados and the need to always remain viable. Trend 5 looked at the Strength of Luxury Travel as it continues to be a robust segment of the industry. While Mr. Fair noted that there are millions of millions, he said it is still projected that the U.S., Japan and Europe visitors will dominate the luxury travel space until 2020. Trend 6 is all about multi-generational travel which is described as a trend with reliable staying power. Mr. Fair said the older the boomers get, the more family travel they’re doing and a lot of that travel is planned around milestone events. We agree with Mr. Fair when he says, this market is about “trading memories, convenience and value”.